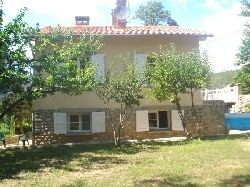 HOLIDAY HOMES TO RENT IN AIN, RHONE ALPES. 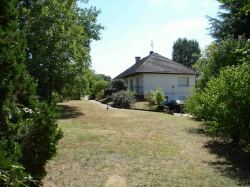 Welcome to our selection of holiday homes to rent in Ain, France. The eastern departement of Ain, located within the region of Rhone-Alpes, is a delighful mixture of historical monuments, culture, beautiful and dramatic scenery. Stretching from the foothills of the Alps, the mountains of Jura, to the medieval town of Bourg-en-Bresse, there is more than enough in this small area to keep tourists busy, and plenty to offer those just visiting for a day. The main natural attraction in the Ain region is undoubtedly the Jura mountains, popular in both summer and winter for the range of sporting activities that are available on their slopes. There are several skiing resorts in Ain, or just over the border in Savoie; resorts that offer skiers over 60 kilometres of downhill slopes and over 100 kilometres of cross country skiing routes. In the summer, these hills and mountains are more likely to be covered with walkers and mountain bikers, taking advantage of the pleasant scenery and the mild climate. The Upper Jura Regional National Park is crossed by dozens of walking trails, of varying difficulties and lengths, that allow you to discover the region's rivers, forests, waterfalls and lakes. One of the best walks in the Jura region is in the south of Ain; a climb to the panoramic viewpoint at the top of the 1500 metre-high Grand Colombier. You can drive most of the way to the top, only having to walk the last twenty minutes from the car park to the peak. One of the most impressive lakes in the Ain region is at Nantua. Not only is this large glacial lake ideal for swimming, fishing and canoeing, but in the summer the small beach areas are very popular with locals and tourists alike. There are even lifeguards on duty in July and August. If sports or sunbathing aren't your thing, you may prefer to visit the small town of Nantua itself or head further north to the pretty country house known as the Ferney-Voltaire Castle, the former home of the famous poet and playwright, and now a museum dedicated to his life and works. Bourg-en-Bresse the capital of Ain is a pleasant medieval town, with timber-framed houses, winding cobbled streets and open squares that are filled with pavement cafes in the warmer summer months. Just outside the town are two of the region's biggest attractions; the Bouvent Leisure Park, which offers golf, tennis and a range of water sports, and the Gothic Brou Royal Monastery, with its spectacular roof of coloured tiles and intriguing collection of religious art and sculptures. The area of Ain is well known for its culinary specialities, particularly cheeses and meat products; visitors have a chance to pick up some of these locally produced goods at the food market in Bourg-en Bresse every Wednesday and Saturday. Looking for self catering holiday accommodation in Ain? 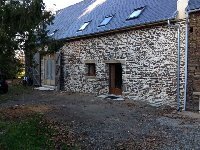 Then below is a selection of gites in Ain and villas in Ain that can be rented direct from their owners. You can either click on each listing for further details or you can use our search engine on the left if you are looking for something in particular.